Why invest all your time and money into a bike that looks great but has a stock factory stem that looks like a part from a run down farm tractor. 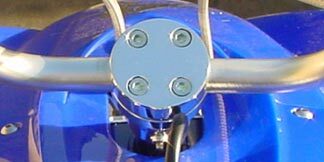 As like all of our products, this STEMS from a line of fine tuned products that have been engineered for your ultimate needs. Stop wasting time, put the cherry on top. 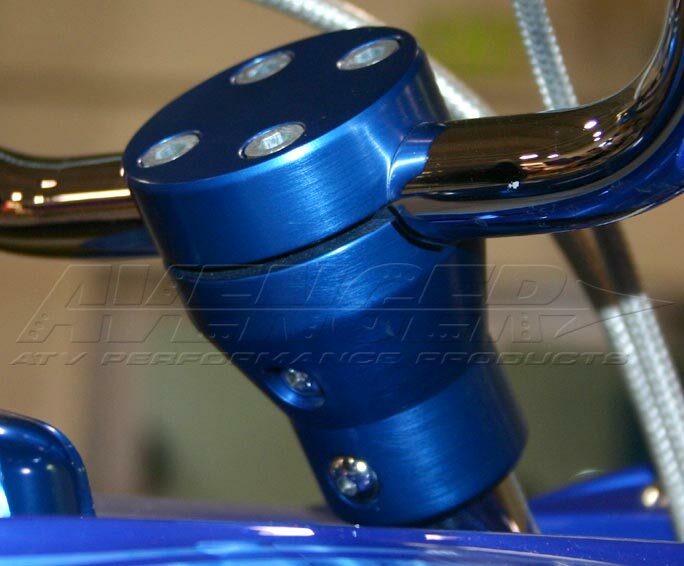 Constructed from 4130 Chromoly with a solid CNC billet clamp assembly onto the steering stem. 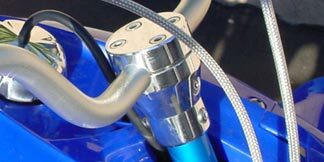 High performance ATV steering stem catering to all major make and model. 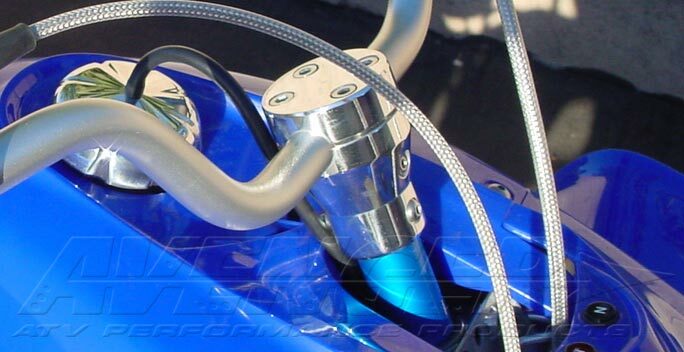 Steering stem comes in different ride height. 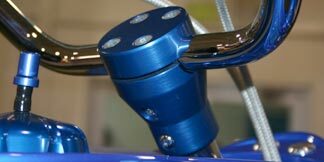 Caters to both 7/8" and 1 1/8" handle bars. From world class racing, to local trail blazing, Avenger is the ultimate in control!